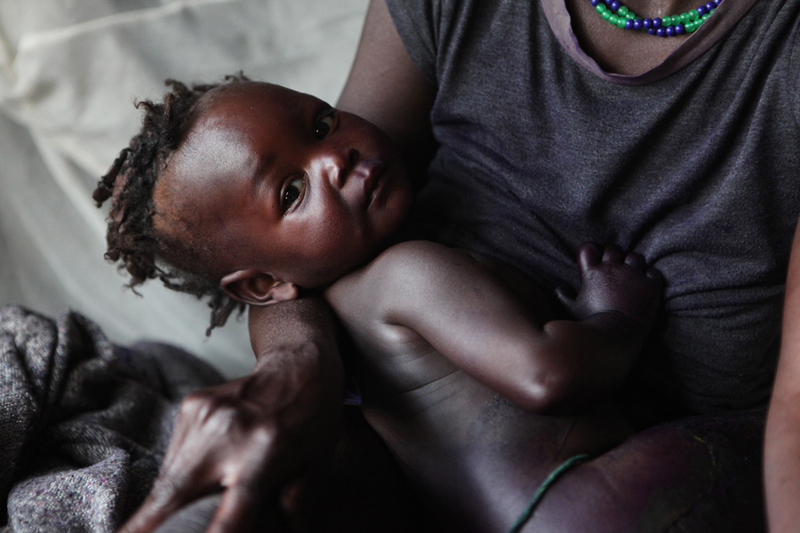 Nyibo Silvan, 7 months old, was brought by her mother Wilma, to the Save the Children-supported Mvolo Primary Health Care Center (PHCC) in Western Equatoria, South Sudan, for burn treatment. Nyibo was badly burned over 30% of her body from an unattended pot of boiling water, a common injury in South Sudan where women are expected to complete household chores and cannot attend to all of the children properly. The Mvolo PHCC is a Government of South Sudan medical facility supported by Save the Children.